The ancient ruins of the Bamuni Hills located in Tezpur of Sonitpur district in Assam is a treat for any archaeology enthusiast. It is located near Tezpur town on the right banks of the Brahmaputra river just near Bhairavi temple. It is believed to be the ruins of an ancient temple site of the 9th – 10th century. According to the constructional plan, it is assumed that there was a Vishnu temple at the centre and four Shiva temples in four corners of the hillock. They were of Panchayatana style. There are also the ruins of an isolated temple on the north eastern side. It is a protected site by the ASI Tezpur sub circle . The carvings on the walls and pillars of the temple speak a lot about the skills and talent of the contemporary artisans and sculptors. The floral and geometric designs are worth mentioning. Several sculptures of animals like crocodile and tortoise are also found. The different avatars of Vishnu are nicely engraved and the piece of slab is still intact. 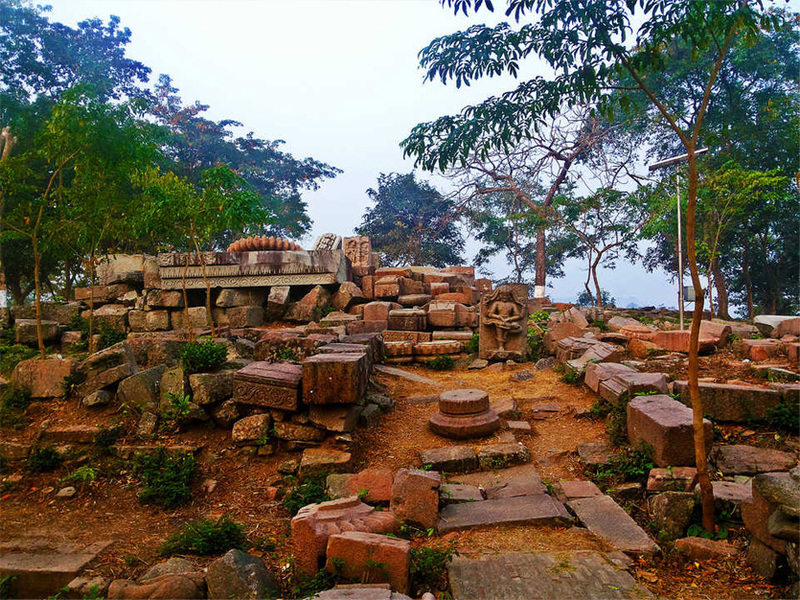 Several pieces of the temple walls and pillars are taken to the adjacent Cole park or Chitralekha Udyan within the Tezpur town and are well preserved. If we go by the dates, the temple belonged to the kings of the Pala dynasty . According to many scholars, these ruins are a result of some devastating earthquake.